As it closes in on almost 2 billion monthly users, an ever-increasing number of Facebook members, particularly women, face the risk of having their profile photo downloaded and misused. As such, the social network is testing a new feature that prevents these images from being accessed by others. ‘Profile Picture Guard’ stops people from downloading someone’s profile pic and sharing it with others in a Facebook message. It also prevents non-Facebook friends from tagging themselves or others in a person’s photo. It can even stop someone from taking a screenshot of a profile image, though this is currently only available on Android devices. Once the guard is enabled, Facebook will display a blue border around a profile picture to indicate that it is protected. Users also have the option of layering designs over the picture, making them less likely to be copied by others. 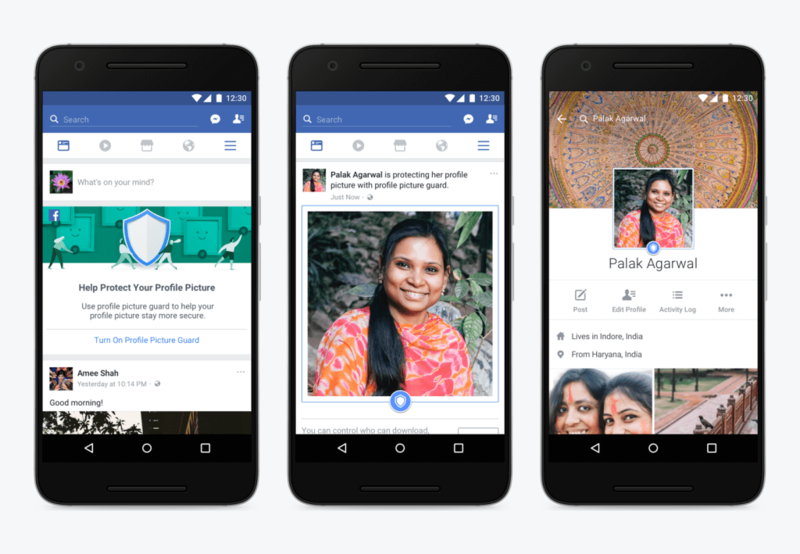 “Based on preliminary tests, we’ve learned that when someone adds an extra design layer to their profile picture, other people are at least 75 percent less likely to copy that picture,” said Facebook product manager, Aarati Soman, in a blog post. Some people collect Facebook profile photos to create sinister collages of women they discover online, while others use them to make fake profiles, like the Californian woman sentenced to 12 months in jail last year for using a fake account to frame her ex. The tool launched in India today, but Facebook said it hopes it will expand to other regions “soon,” though that may depend on how effective it proves.